1) Does PureVPN keep any logs, IP Addresses, Timestamps, Bandwidth caps, Traffic or other data? We provide encryption upto 256bit and make sure our users data remain secure throughout. We have 300+ servers which are located in 26 countries at the moment and we are about to launch a few more in the near future. We operate under the jurisdiction of Hong Kong since we are a Hong Kong based company. We do not cooperate with any requests for information unless we are ordered by a court of competent jurisdiction and the vast majority of these requests would not be from a court of competent jurisdiction. We will protect our users to the max and our system is setup to automatically do so. We believe that there are hundreds of good reasons to be anonymous and we completely respect them. Yes. We have access to all our servers and data centers. Additionally, unlike other VPN providers, all servers are being managed by PureVPN itself. No we do not support bittorrents in countries where its illegal by law. As of now, we allow file sharing on Turkey, Sweden, Romania, Luxembourg, Netherlands, Germany (de1 only) and Russian servers. PureVPN complies with all DMCA notices and in this regard forbids its clients to involve in any illegal activities. 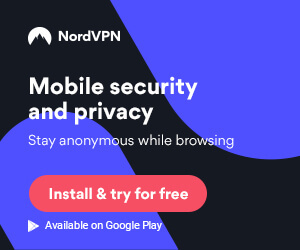 Check out the official PureVPN website here!